I make big batches of beans and freeze them to avoid living in my kitchen. This recipe makes about 4 quarts of beans…enough for about a month. Add all ingredients into the cooking vessel. Set pressure cooker for 45 minutes on high (InstaPot). Allow to vent. 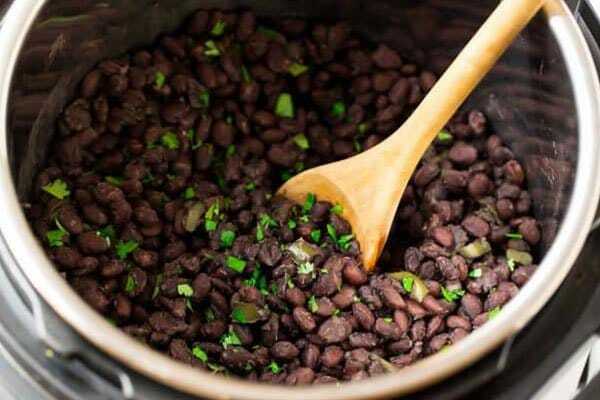 Long soaking, thorough rinsing, and long, slow cooking (or pressure cooking) are key to removing the gassy sugars and removing most of the nutrient blockers that make beans so unpopular with Paleo purists.